Plasticure and No More Graffiti were used in the construction of the very first rammed earth school building in Noumea, New Caledonia. At the point of writing this article, the project is still under construction. The school is intended to be a public school and is planned to open its gates to the pupils mid-2016. Plasticure, a unique water repellent admixture, was incorporated during the manufacture of the rammed earth walls. The use of this product protects the whole structure against moisture penetration and rising damp, and also unsightly long term efflorescence and mould. As the walls remain always dry, heat lost through damp walls is dramatically reduced so energy expenditure is low when keeping the building warm during the cooler climates. The external walls were treated with No More Graffiti, a protective coating against graffiti and other staining compounds. 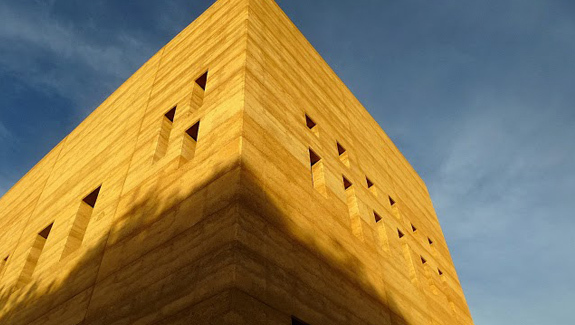 This product dries to a clear matte finish so the natural aesthetics of the rammed earth still remain.